Health officials are encouraging doctors who support the health law to help save it. By telling patients about how the Affordable Care Act will benefit them and the entire system, physicians can help garner support for the ACA, said Kathleen Sebelius, secretary of Health and Human Services. “The notion that [you] are going to share factual information and have people share that information with friends and neighbors and patients on websites, in blogs, and church groups, and at [parent/teacher organization meetings], that’s really what makes a huge impact,” Ms. Sebelius said while addressing primary care and specialist physicians at the annual conference of Doctors for America. She added that doctors should not only spread the news, but become a part of the process as well. “Your comments, certainly, about what is happening in rulemaking is helpful … but more than that is participating in some of the new models of care,” Ms. Sebelius said. Many physicians are skeptical about the ACA according to some surveys. However, Doctors for America is among those who support of the law. It remains to be seen whether there’s enough agreement among doctors to make a difference. What do you think? Tell us in the comments section. The names are in and the lobbying has begun. Physicians — and others — are weighing in with their priorities for the Joint Select Committee on Deficit Reduction — better known as the Super Committee. 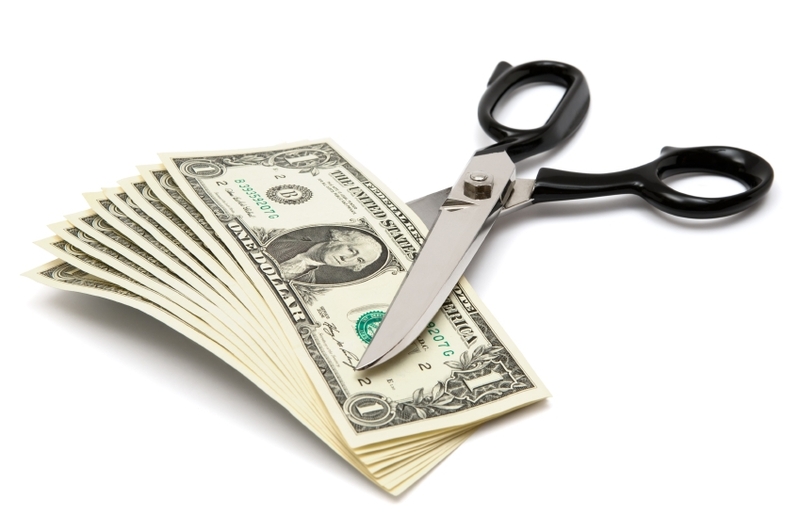 The group is charged with cutting $1.5 trillion of federal spending by Thanksgiving. At the top of most doctors’ list: A permanent fix to the Sustainable Growth Rate (SGR) formula, which could lead to a 30% pay cut on Jan. 1. But physicians from several specialties have other concerns they want addressed as well. Meanwhile, a federal appeals court in Atlanta ruled that the Affordable Care Act’s (ACA) individual mandate is unconstitutional, pushing the law one step close to its much-predicted airing in front of the Supreme Court. Regardless of legal wranglings, the feds are busy pushing ACA programs along, with announcements of more than $200 million worth of programs last week. LISTEN: For details, check out this week’s Policy & Practice Podcast. Let us know what you think. 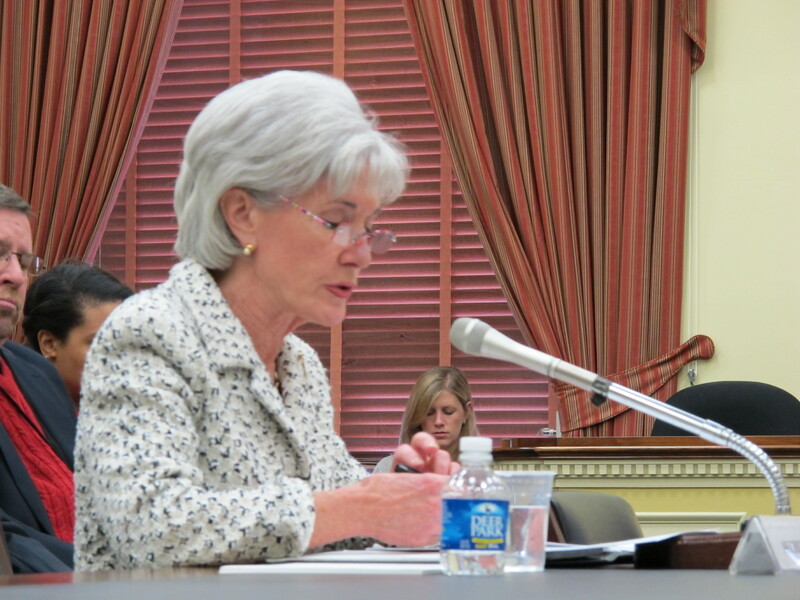 HHS Secretary Kathleen Sebelius defended embattled Medicare Chief Berwick at a House subcommittee hearing. 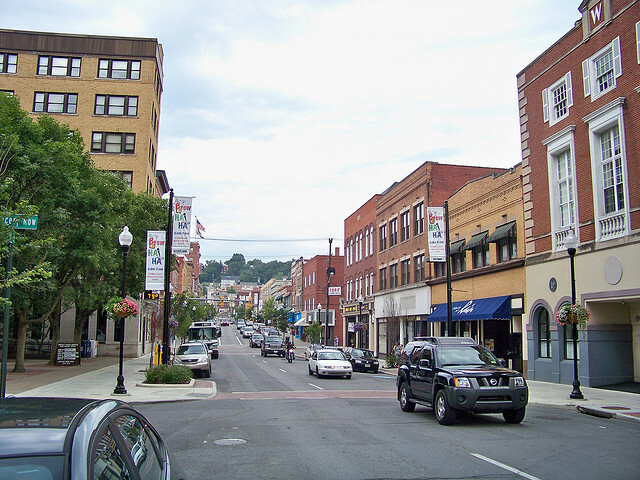 Photo by Alicia Ault. On Capitol Hill, Health and Human Services Secretary Kathleen Sebelius took a moment to defend Dr. Don Berwick, administrator of the Centers for Medicare and Medicaid Services, as the right man for the job. Dr. Berwick, a recess appointment, faces strong opposition in the Senate, which has yet to call confirmation hearnings for his position. While the Medicare chief faces a steep obstacle, physicians now face a potentially deep cut in Medicare pay. Without congressional action, the Sustainable Growth Rate formula will cut payments by nearly 30% in 2012. For more on Medicare cuts, the Administration, and health reform, take a listen to this week’s Policy & Practice Podcast. Like what you hear? Come back for more, next week. As U.S. workers came back from a brief Labor Day holiday, new federal health reform benefits are in the spotlight. Two Affordable Care Act programs seek to help employers cover more of their workers — one seeks to encourage small businesses to continue to cover their workers, while the other helps companies to continue insurance benefits for early retirees. And as summer turns to fall, so the nation’s attention turns to the upcoming midterm election in November. How will candidates’ support of health reform affect voters’ choices? Last week, the new vaccine for pandemic influenza H1N1 reached the American public, with some 4 million doses available nationwide and promises that an additional 20 million doses will reach U.S. vaccine dispensers weekly through the rest of this year. Along with the vaccine came a high-intensity publicity campaign by government officals urging the American public to get vaccinated. On Tuesday and Wednesday, Kathleen Sebelius, Health and Human Services secretary, appeared on a series of morning news shows promoting the vaccine. Also last Tuesday, Dr. Thomas R. Frieden, director of the Centers for Disease Control and Prevention, spoke in a press conference where his main message was that the new vaccine was safe and effective. On Friday, the CDC’s Dr. Anne Schuchat, director of the National Center for Immunization and Respiratory Diseases, made similar pitches in a second news conference. A cynic might say the CDC, HHS, and possibly the entire Obama administration has a major stake in making sure the H1N1 vaccine gets widely used and succeeds. After all, HHS has spent more than $6 billion in this effort and has placed a whole lot of reputation, credibility, and careers on the line. If the vaccine becomes mired by an adverse effect, poor performance, or an unconvinced public that refuses to get vaccinated, it’s easy to expect that heads would roll, embarrasment would run rampant, and the vaccine cause would be set back a few decades. The 2009 H1N1 vaccine program is a public health juggernaut that’s a lot more than business as usual for the CDC and HHS. As Dr. Schuchat noted on Friday, the CDC usually handles about 10% of the annual, seasonal flu vaccine program, with 90% in other hands. In contrast, the H1N1 vaccine is 100% Uncle Sam, with the government fully responsible for footing the bill and hence also in line to take the credit or the blame depending on how it sorts out. But there’s more to the last week of salesmanship than bureaucratic responsibility and fear of failure. While I have no prior, personal experience covering Secretary Sebelius or Dr. Frieden, I have seen Dr. Schuchat talk on various infectious disease and public health issues over the years, and, based on that history I’m convinced she now sincerely believes this vaccine is what’s best for the health of the nation. It’s moments like these, when a possibly calamitous infection is knocking on the door, that the public-health lifers at places like the CDC train for and live for. Last week also brought the good news that the uptake bar might not be set very high for the H1N1 vaccine to succeed. A modeling analysis released by Annals of Internal Medicine showed that vaccinating 40% of the population in a hypothetical city of 8 million people in October or November stood to prevent morbidity in tens of thousands and save hundreds of millions of dollars. Even vaccinating just 15% of the population in October could avert more than 700,000 infections and more than 700 deaths and save more than $160 million in one large city.